Border Collie Art by BuzzSaw and Hardey Border Collie Goose Patrol. 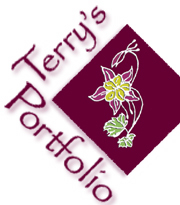 Commission Graphic Artist, Denver, CO area. Adobe Photoshop, Adobe Illustrator, QuarkXPress. Logos, business cards, stationary, flyers, brochures, ads, posters, and newsletters. Capture that beautiful furry little face in a wonderful pet portrait! 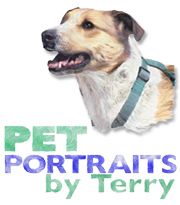 Check in here, for information on having a beautiful custom pet keepsake portrait commissioned for your beloved "Fur Kid." 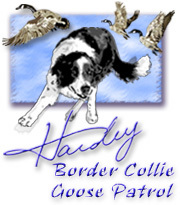 The Hardey Border Collie Goose Patrol provides environmentally safe, humane Canada goose control with specially trained Border Collies, to the Denver metro area of Colorado. Hello Border Collie lovers! 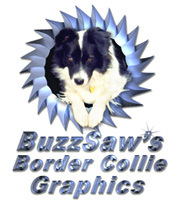 BuzzSaw's Border Collie Gallery offers unique Border Collie and Flyball designs on a wide range of apparel, mugs, steins, sweatshirts, greeting cards, and gift items.